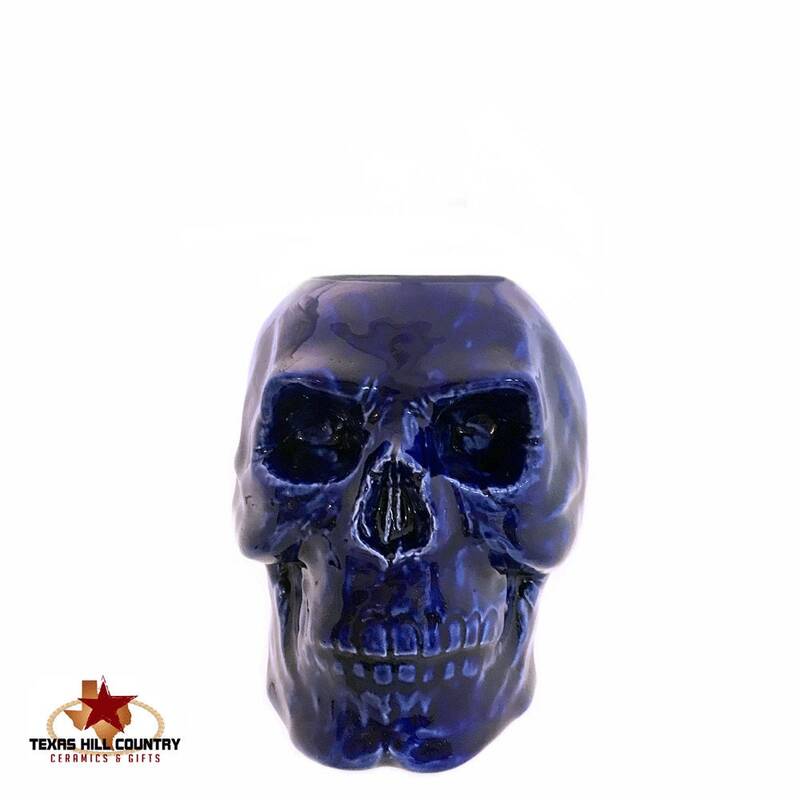 This ceramic skull set is finished in a rich dark blue. The set is perfect for any bath vanity or kitchen decor. 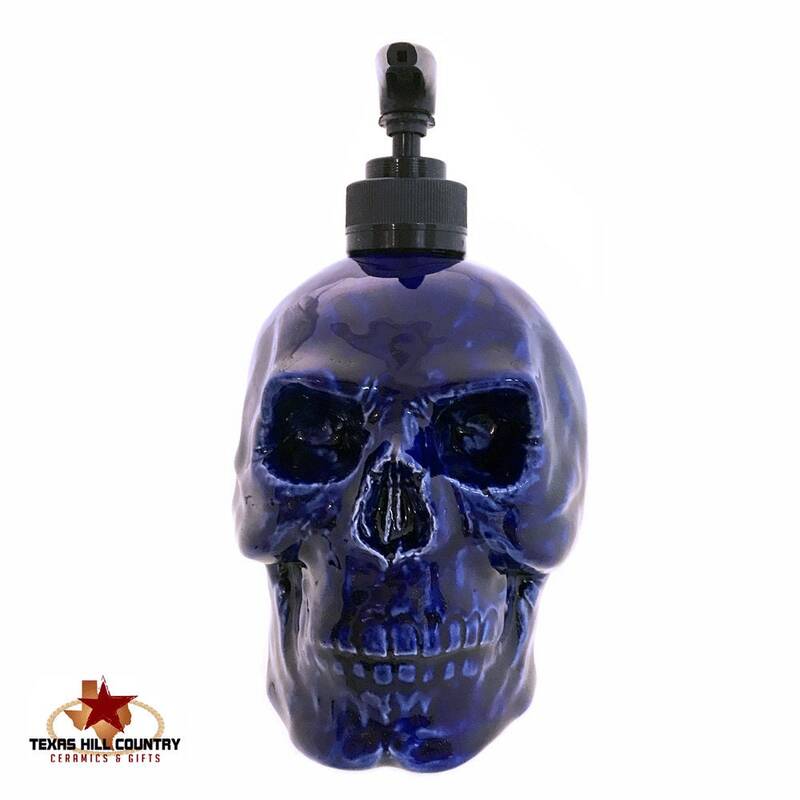 The skull dispenser will hold any liquid soap or lotion, the holder can be used for toothbrushes, makeup brushes, combs or hair brushes. This set is part of my skull ware collection I created, it is great for Halloween horror, zombie, pirate decor or Friday 13th celebrations. The glaze has a mirror like high gloss finish. 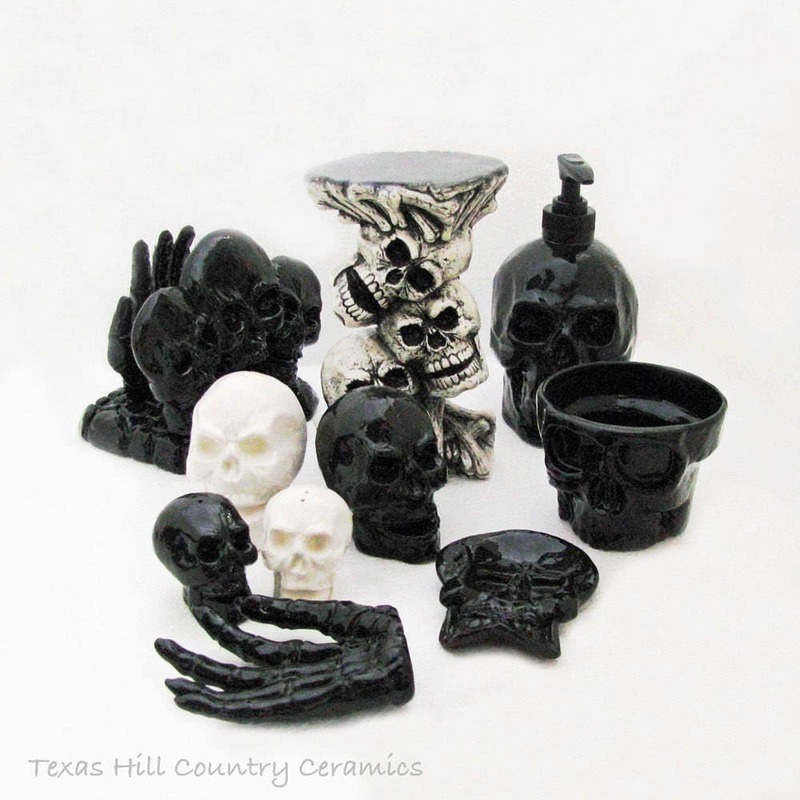 This set is ideal for adding a little creepiness to any area of the home or office. Made to Order, the processing time is below in the Shipping Section. 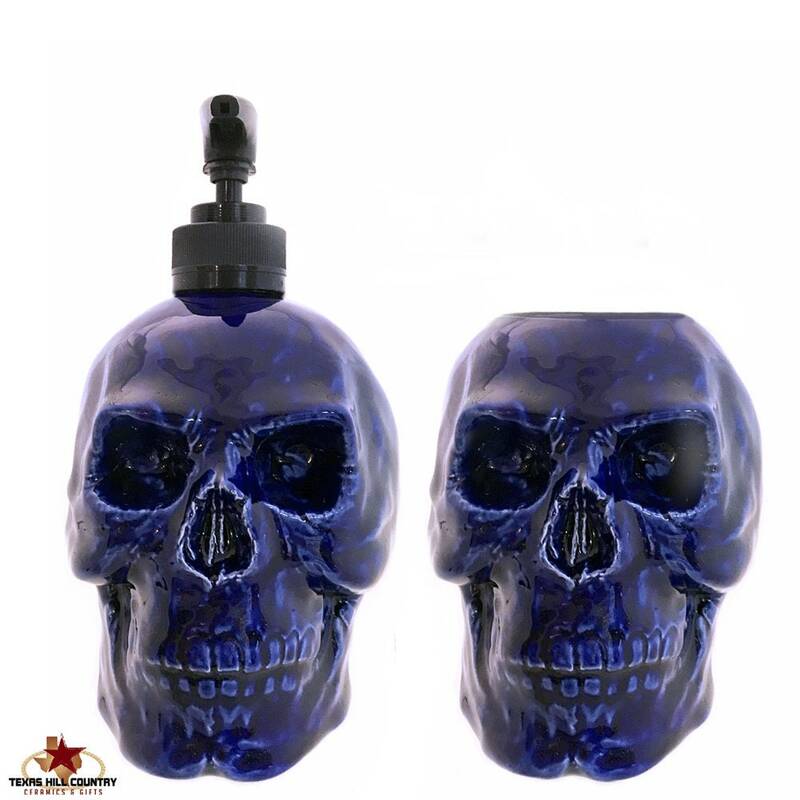 The ceramic skull pump dispenser and holder is made of kiln fired domestic slip. The skulls are finished in lead free gloss glaze inside and out making them waterproof. Coordinating items available.